In today’s technologically oriented world, you don’t need a crystal orb to predict the future of businesses, all you need is advanced analytic capabilities. As predictive modeling hits the mainstream it is indeed time to consider which of these predictive modeling techniques will produce the best result for your business. Predictive analytics and predictive modeling techniques form the basis for anticipating future business trends based on historical events. Predictive modeling techniques act as a game changer across industries by helping businesses to optimize their operations, surpass the global competition, and enhance internal process efficiency. The client is a leading grocery retail chain headquartered in the United States. To counter the pricier online grocery delivery services segment, the online grocery retail chain was looking at launching a new concept- an online grocery pick up service. Their aim was to roll out this initiative in a well-planned, phased manner. To successfully do so the grocery retail chain had to completely transform, update, and integrate its core IT operations onto a new and advanced analytic platform to reduce the associated risks. This prompted them to look-out for solutions that could offer intelligent, analytics-based recommendations as to how it could be rolled out. Predictive analytics was performed to prescribe recommendations for the client’s new initiative. As a part of this, new processes and predictive modeling techniques were developed to respond to the ups and downs of the project. The use of predictive analytics along with the traditional risk assessment methodologies enabled the grocery retail chain to make accurate predictions about the success or failure of their new initiative. 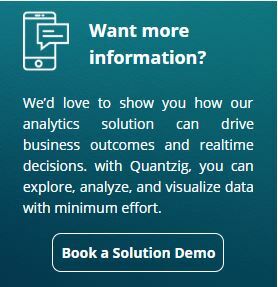 Quantzig’s predictive modeling solutions played a key role in helping the grocery retail chain to classify stores into three different categories, thereby allowing optimal budget allocation for rolling out their new concept in select stores, globally. Today, leading grocery retail firms are increasingly seeking to differentiate themselves on speed and efficiency by integrating new features. To know how you can benefit from predictive modeling. Get in touch with us Today!